Six Nigerian-owned guest houses burnt in S’Africa, says Union – Royal Times of Nigeria. 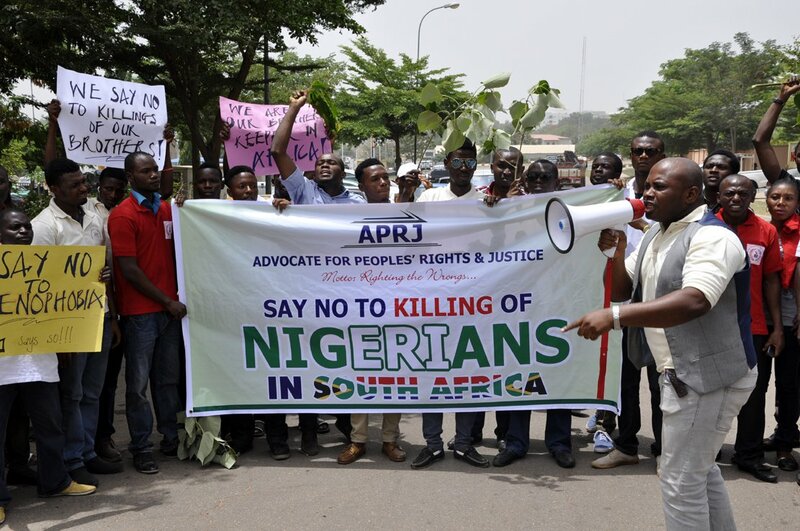 The Nigerian Union in South Africa says six guest houses owned by their members were burnt during attacks against Nigerians in Rustenburg, North West Province of South Africa. The Chairman of the union in the province, Mr. Paul Nwanedo,said this from Rustenburg, on Thursday that the attackers beat a woman and her child. “These attacks began on Sunday. Four Nigerians are in critical condition in the hospital. We also received a report that the taxi drivers also beat up a Nigerian woman and her child. He said the union was still taking stock of losses by Nigerians and would communicate to the appropriate Federal Government’s representatives in South Africa. Report gathered also shows the taxi drivers went on the rampage following allegations that Nigerians sold drugs to a gang that attacked their members. They also alleged that a Nigerian abducted and raped a 16-year-old South African girl.Nwando said the allegations were false and spurious.